Anabel is the Director of Global Sales at Rebold. Her mission is to build, implement and coordinate the international strategy for attracting new businesses in the countries where the company is located, as well as managing opportunities in potential markets. His motto “nothing is impossible”. Before taking up the challenge of Global Sales Director, he was Country Manager in Mexico where she worked with brands such as Nestlé, Nestlé NIN LATAM, Santander, Walmart, Estee Lauder, Herdez, among others. From Mexico she had the opportunity to work with markets such as Brazil. 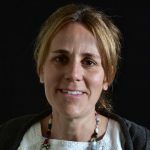 She began her professional career in 2004 with Televisa as Manager of innovation and market research for the Editorial and Digital division of the company, during six years. Then she took up the challenge of working for Nestlé with the Gerber brand. In 2011 she began her digital journey creating and directing the Digital Research department for the Flock agency. After three years in that position she took the opportunity to work with the Embassy of Singularity University in Mexico, where she found her passion for knowledge about how technology can positively impact people’s lives through the use of Big Data, Machine Learning, 3D printing, among others. 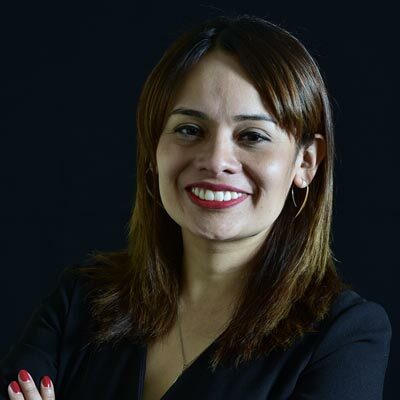 Anabel holds a Master’s Degree from ESDEN Business School in Big Data and Omni-Channel. She has also worked in Innovation models for companies and recently in Design Thinking. She lives in Barcelona, she is Mexican, traveller, coffee and pet lover.